The Sea to Summit eVAC Dry Sack is an ultralight dry bag with great specs and high-tech fabric, but it was unable to hold up to daily use on Expedition Arguk. 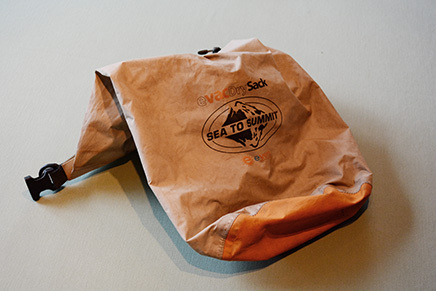 Paxson: "The Sea to Summit eVAC Dry Sack is an ultralight, oval-shaped dry sack with an orange bottom made of eVent, a high-tech fabric which allows air to escape without admitting moisture. 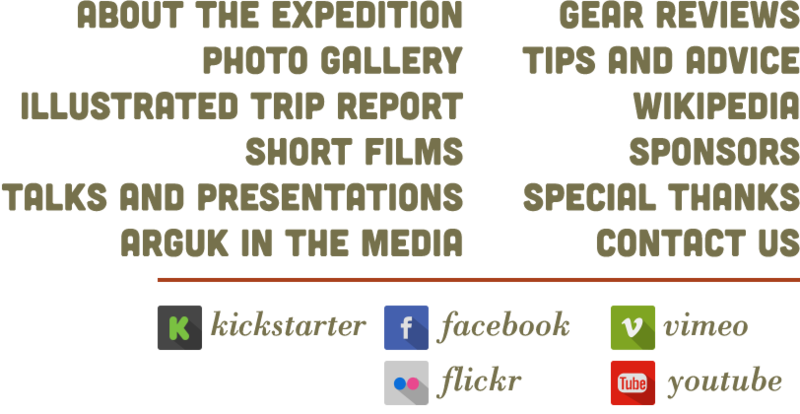 I bought the 8L version of the bag to hold my camera and a spare lens in my lap during the 245-mile packrafting portion of the expedition. Unfortunately, despite relatively gentle treatment (I had a pricey and not-waterproof camera and lens in it after all), this bag almost immediately began to give up. It tore and punctured in multiple places and the eVent fabric began to fray and change color when it contacted water. By the end of trip, the Sea to Summit eVAC Dry Sack had morphed into a sad little Frankenstein of peeling Tyvek tape and ominously damaged eVent fabric. It was returned, killed in action, to REI. tl/dr: I would consider the bigger version as an ultralight pack liner, but durability issues make it dubious as a standalone bag. I would recommend against using it to hold items that would be destroyed by water (cameras, phones, etc.) under any conditions. I would also check it periodically for rips and tears."